This paper attempts to demonstrate that while the various laws affecting Orang Asli rights to their traditional lands and resources may not be explicit in protecting these rights, there is actually enough in our local laws to support recognition of this inalienable right - if we only want to do so. 4. State laws and regulations. Ironically, as we shall see for the case of the Orang Asli of Peninsular Malaysia, it is the last category - state laws and regulations - that effectively take precedence in determining Orang Asli rights to their traditional land and resources. Several laws and regulation affect the status of the Orang Asli even though they may not directly concern them or mention them specifically. Examples are Town and Country Planning Act 1976 (Act No. 172) and the Local Government Act 1976 (Act No. 171) - both of which effectively remove any semblance of autonomy that the Orang Asli may have had over their traditional lands. The National Land Code established a uniform system of tenure under which title to an interest in land depends on registration. This act applies only to the Peninsula and deals with matters of tenure, title, and land transfer. Under the Act, authority over all land, mineral, and rock material is given to the respective states. The Land Conservation Act 1960 consolidates the law relating to the conservation of hill lands and the protection of soil from erosion and the inroad of silt. Section 5 provides that no person shall plant any hill land with short term crops (i.e. crops that normally complete their life cycle within two years after planting) without an annual permit from the Collector of Land Revenue. Section 6 goes on to prohibit the clearing of hill land. These provisions are detrimental to Orang Asli communities who live in forest and forest fringe areas and who still depend on the traditional swiddens for their subsistence. The Land (Group Settlement Areas) Act 1960 enables land agencies such as the Federal Land Development Authority (FELDA), the Federal Land Consolidation and Rehabilitation Authority (FELCRA) and other agencies such as the Pahang Tenggara Development Authority (DARA) to take over State land and to develop them for the purpose of land settlement which culminates in the issue of titles to the settlers. Frequently Orang Asli traditional areas have been converted to such land schemes with them not enjoying both the fruits of the programme nor being entitled to such titles for the land. A law that expressly mentions the Orang Asli (or 'aboriginal community') is the Protection of Wildlife Act of 1972 (Act 76). Wildlife Reserves and Sanctuaries may be declared by the state under this legislation. In such areas, an Orang Asli may shoot, kill or take certain wildlife for the purpose of providing food for himself or his family. Another law that is applicable to the Orang Asli is the National Forestry Act of 1984, which provides for the administration, management and conservation of forests and forestry development in the states. It also states that forest produce is property of the state and that harvesting requires a license. Basically, it treats the Orang Asli harvesters of such forest produce (e.g. rattan and petai) as labourers of the traders who hold the necessary licences (or 'bund' as they are called in Perak) from the Forest Department. The National Parks Act (Act 226) of 1980, is an act to provide for the establishment and control of National Parks and for matters connected therewith. While usufructuary rights of the Orang Asli may not be curtailed in such parks, their right to own and control their traditional territories certainly come under serious jeopardy. 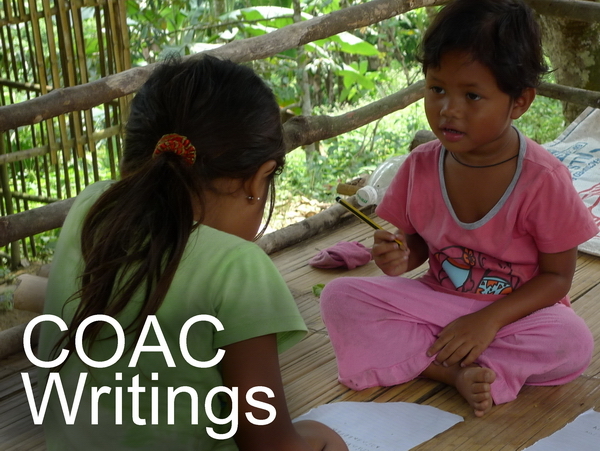 The Aboriginal Peoples Act (1954, revised 1974) is the only law that specifically refers to the Orang Asli. And while the Act provides for the establishment of Orang Asli Areas and Orang Asli Reserves, it also grants the state authority the right to order any Orang Asli community to leave - and stay out of - an area. In effect, the best security that an Orang Asli can get is one of 'tenant-at-will'. That is to say, an Orang Asli is allowed to remain in a particular area only at the pleasure of the state authority. If at such time the state wishes to re-acquire the land, it can revoke its status and the Orang Asli are left with no other legal recourse but to move elsewhere. Furthermore, in the event of such displacement occurring, the state is not obliged to pay any compensation or allocate an alternative site, and may only do so. 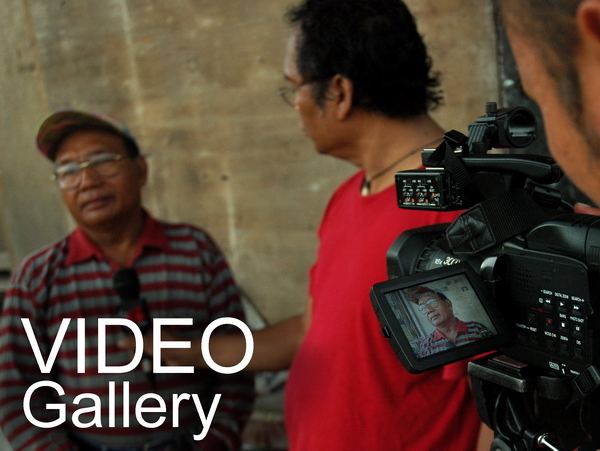 Thus, the Aboriginal Peoples Act laid down certain ground rules for the treatment of Orang Asli and their lands. 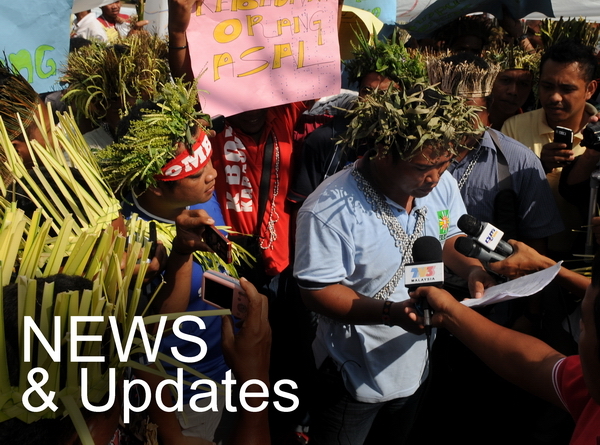 Effectively, it accorded the Minister concerned - or his representative, the Director-General of the Department of Orang Asli Affairs (JHEOA) - the final say in all matters concerning the administration of the Orang Asli and in matters concerning land, to the state authority. All these laws give the Federal and State Governments a tremendous amount of leverage against the Orang Asli. (This, at least, is how the above laws, and especially the Aboriginal Peoples Act were interpreted - until, that is, the October 2005 decision of the Court of Appeal in the Sagong Tasi case, as discussed below.) Even supposedly sustainable and rights-respecting initiatives such as the Malaysian Timber Certification Council (MTCC) prefer to hide behind the catch-all clause "subject to national laws" knowing full well that such national laws generally favour the interests and greed of the well-placed and well-heeled rather than the Orang Asli inhabitants of the areas they now seek to exploit or appropriate. The Federal Constitution specifies the division of powers between the state and federal governments. The Constitution's Ninth Schedule divides the various responsibilities, privileges, and jurisdictions into three lists: List 1, the Federal List; List 2, the State List; and List 3, the Concurrent List. In particular, the welfare of the Orang Asli comes under the Federal List while land and forest matters come under the State List. Also, as every state is independent under the Constitution, federal legislation in most cases is not binding on the states. On the contrary, the Federal Constitution accords substantial powers over land use and natural resource management to the respective States. And though under the Constitution the Federal Government is empowered to make laws it deems necessary to ensure continuity throughout the country, the Federal Government often serves merely as a coordinating entity. As such, federal agencies like the Department of Orang Asli Affairs (JHEOA) would consequently assume only a liaison and cooperative role with respect to the state authorities. In fact, this line of rationalising - that while the Orang Asli are a federal concern, all matters pertaining to land reside in the state over which they have no say or influence - is an oft-heard explanation whenever those responsible for gazetting or reserving lands for the Orang Asli are asked for the reason for the dismal progress in this matter. That there is a glaring precedent in the case of FELDA (which effectively utilises the Land (Group Settlement Areas) Act of 1960 to direct states to give up some of their land for landless settlers in their development schemes) is somehow lost on these administrators and decision-makers. The crux of the problem lies in the fact that with forests being such a valuable productive resource in the country, it is in the interest of the States to maintain control over their forest lands. Creating Orang Asli reserves in their now-valuable land banks would effectively deny the State of a revenue-generating facility as such reserves would now come under the purview of the Federal Government. Thus, it does not make economic sense for the States to gazette lands for the Orang Asli. This is, of course, based on the presumption that States enjoy the legal right to those lands that are contested by the Orang Asli as their own. But as we shall see below, this perception is steadily giving way to an interpretation of natural resource laws that are bound to bring changes to the way traditional territories are controlled and managed. In 1992, the Ipoh High Court, in deciding the case of Koperasi Kijang Mas & 3 others versus Kerajaan Negeri Perak & two others, held that the State Government of Perak had breached the Aboriginal Peoples Act, 1954 (revised 1974) when it accepted Syarikat Samudera Budi Sdn. Bhd's tender to log certain areas in Kuala Kangsar. These areas included lands which have been approved by the State Government as Aboriginal Reserves namely the regroupment schemes of RPS Sungei Banun and RPS Pos Legap. The High Court went on further to hold that Syarikat Samudera accordingly had no rights to carry on logging activities and that only Orang Asli as defined in the Aboriginal Peoples Act had the right to the forest produce in these reserves. An important point canvassed by the State Government was that the lands, although approved had not been gazetted. Justice Malek in a strong opinion held that gazetting was not a mandatory requirement. The approval of the State Government for the lands to be aboriginal reserves had, without the necessity of gazetting, created the reserves and thereafter only Orang Asli have exclusive rights to the forest products in the reserves. This decision has important implications for Orang Asli land rights as official sources indicate that some 29,144.18 hectares of aboriginal lands in 2002 have been approved, but are yet to be gazetted. In respect of these lands therefore, Orang Asli have some measure of statutory protection from encroachment and displacement by many other interests. In 1997, the Johor High Court awarded compensation to 52 Jakuns for the loss of 53,273 acres of ancestral lands. The state government had taken the forested land and leased it to the Public Utilities Board of Singapore who subsequently constructed a dam to supply water to both Johor and Singapore. Justice Mokhtar concluded that the Jakuns had proprietary rights over their lands, but no alienable interest in the land itself. That is to say, while the Jakuns may not hold title to their traditional lands, they nevertheless have the right to use it for their subsistence and other needs. In this instance, the court ruled that while certain lands are reserved for aboriginal peoples, they also have rights to hunt and gather over additional lands - the "right to continue to live on their lands, as their forefathers had lived." Such proprietary rights are protected by Article 13 of the Federal Constitution, which required the payment of "adequate compensation" for any taking of property. In accordance with this, the Jakuns were awarded a sum of RM26.5 million for their loss of income for the next 25 years. With interest accrued, the final payment was RM38 million. This judgment was upheld by the Court of Appeal in 1998, with no leave being granted for appeal to the Federal Court. Sagong Tasi was among 23 family heads from Bukit Tampoi in Dengkil, Selangor who had 38 acres of their land taken from them for the construction of the Nilai-Banting highway linking with the new Kuala Lumpur International Airport in 1995. Some also had their crops and dwellings destroyed. While they were paid a nominal amount for these, there was no compensation for the land. The authorities maintained that the Orang Asli were mere tenants on state land and as such were not entitled to compensation under the Land Acquisition Act 1960. With the help of a pro bono team of lawyers from the Bar Council, the Temuans took their case to the courts. They asserted that are the owners of the land by custom, the holders of native title to the land and the holders of usufructruary rights (i.e. right to use and derive profit) to the land. They also maintained that that their customary and propriety rights over the land which they and their forefathers have occupied and cultivated for a long time were not extinguished by any law. In April 2002, Justice Mohd ruled that the Temuans did have native title under common law over their lands. And as such compensation was to be paid to them in accordance with the Land Acquisition Act, 1960. The four defendants (the Selangor state government, United Engineers Malaysia (UEM), Malaysian Highway Authority (LLM), and the Federal Government) appealed. In October 2005, Justice Gopal Sri Ram sitting with two others, unanimously threw out the appeal and held that the High Court was not misdirected when it decided, based on a large quantity of evidence and fact that was not challenged, to rule that the Temuans did indeed have propriety rights over their customary lands. As such, these lands should be treated as titled lands and therefore subject to compensation under the Land Acquisition Act. Thus it can be seen that the Orang Asli were deemed to be in possession on titled rights to their lands all this while -- only that the state and federal authorities chose to impose their interpretation of the natural resource laws to their own advantage. Unfortunately, this was a right that had to be challenged in court and not one that was conceded with magnanimity as befitting a position that is just and equitable. Earlier, we noted that in the hierarchy of legislations in Malaysia, the State laws and regulations appear to be given greater weight and authority over the Federal Constitution. That this is so was clearly elaborated by Justice Gopal in his judgement of October 2005. His 59-page judgment in the Court of Appeal is more than just an affirmation of the rights of the Orang Asli to their traditional lands. It was a condemnation of the way the Orang Asli have been treated by the authorities and a wake-up call to the government to fulfil its fiduciary responsibility towards the community. In his words, "Here you have a case where the very authority - the State - that is enjoined by the law to protect the aborigines, turned upon them and permitted them to be treated in a most shoddy, cruel and oppressive manner." Steps are now being taken to create these reserves and there are also in existence others which were gazetted prior to the introduction of the Ordinance. At the moment there are in existence in the Federation, 58 Gazetted Aborigine Reserves covering in all approximately 30 square miles, and including some 5,200 aborigines. An additional 120 areas are currently under consideration, with a view to gazetting as Reserves. They cover about 389 sq. miles and include approximately 21,000 aborigines. Alas, as the court was later to find out, none of these good intentions were realized. In the case of Bukit Tampoi, the Temuans faced both under-gazettement as well as non-gazettement of their lands. Thus, as a result of the state and federal governments' neglect in both under-gazetting and not gazetting areas which they knew were inhabited by the Temuans, the latter's rights in the land were placed in serious jeopardy. For the state and federal governments now to say that no compensation is payable to the Temuans because the disputed lands were not gazetted, is to add salt to injury - injury caused by their own neglect and failure. This prompted Judge Gopal to comment that, "I am yet to see a clearer case of a party taking advantage of its own wrong." This is a pro-active move that has the positive effect of restoring justice to a community that has long been denied of their rights by the narrow interpretation of natural resource laws. The judge added that, "I am aware that ordinarily we, the judges, are not permitted by our own jurisprudence, to do this. But here you have a direction by the supreme law of the Federation that such modifications as the present must be done." The judgment of the Court of Appeal in the case of Sagong Tasi and 6 Ors v Kerajaan Negeri Selangor and 3 Ors is without doubt a landmark decision in many aspects. For certain, it is a refreshing breath of just air given the spate of judicial setbacks indigenous peoples have faced in the courts. It also shows that there is enough in our local laws to protect the rights of the indigenous peoples to their traditional lands and resources if we only want to. Anaya, James & Robert A. Williams, Jr. (2001), The Protection of Indigenous Peoples' Rights over Lands and Natural Resources Under the Inter-American Human Rights System, Harvard Human Rights Journal, Vol. 14, Spring. Bettinger, Keith Andrew (2005). Protecting Sovereignty Versus Protecting Parks: Malaysia's Federal System and Incentives against the Creation of a Truly National Park System. Paper presented at the Asian Research Institute, National University of Singapore, May 2005. Legal Correspondent (1992), 'High Court Declares State Government Has No Power To Award Logging Rights To Private Company', Pernloi Gah, Issue No. 2, Center for Orang Asli Concerns, Petaling Jaya. 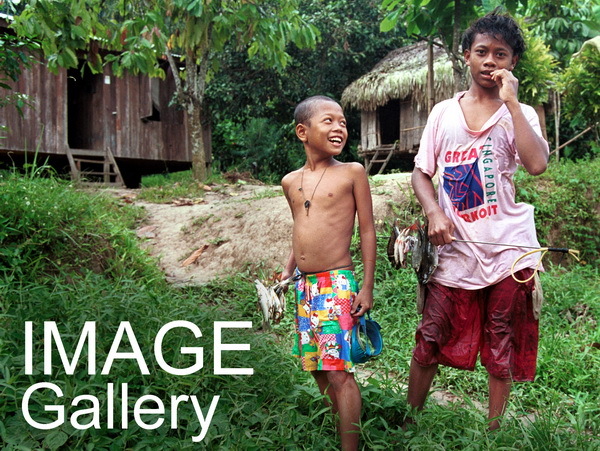 Nicholas, Colin (2005), 'Orang Asli Rights Upheld', Aliran Monthly, Vol. 25, No. 8, pp. 37-40. Tan, Alan K.J (2002), Preliminary Assessment of Malaysia's Environmental Law, Environmental Law (ASEAN-10) : Malaysia, Faculty of Law National University of Singapore.